Free Heart quilt patterns are versatile and come in many variations. Heart quilt blocks and appliqués are some of the most popular patterns used today. Heart quilt blocks are often mixed with other quilt blocks for added texture and interest. Heart appliqués can be used for embellishing clothing, accessories and tote bags. The appliqué technique is also used to decorate quilted items such as wall hangings, bedspreads, table runners, towels and napkins. Click on image to print the 6" block of the Heart Quilt Pattern. Some quilt blocks use triangles and squares to form a heart shape, while other patterns use heart shapes appliquéd to the whole cloth. 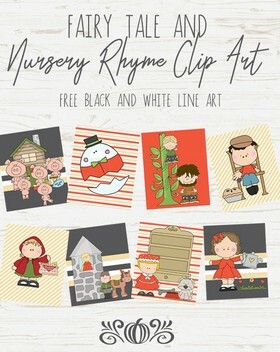 Double Heart, Log Cabin Heart and Patchwork Heart are just a few of the designs you'll find available here. Make a heart quilt or heart quilt block with free quilt patterns. Also see our Array of Hearts Wall Hanging Pattern. This log cabin heart hangs on the wall and looks good in any room. Another pieced heart quilt block. This would be a quick block to make. 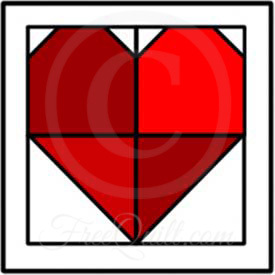 This is a quilt block for an cutout heart within another cutout heart. Although quite simple to make, the resulting quilt block appears to have many layers, thanks in part to the use of contrasting fabrics. Heart shapes and patterns to use for quilts and applique.